Have you seen the 1600″ quilt made from a jelly roll? Click to watch a video. Judy brought her quilt in for us to see after Pam had explained to her how she had made one out of a Lily & Will jelly roll. 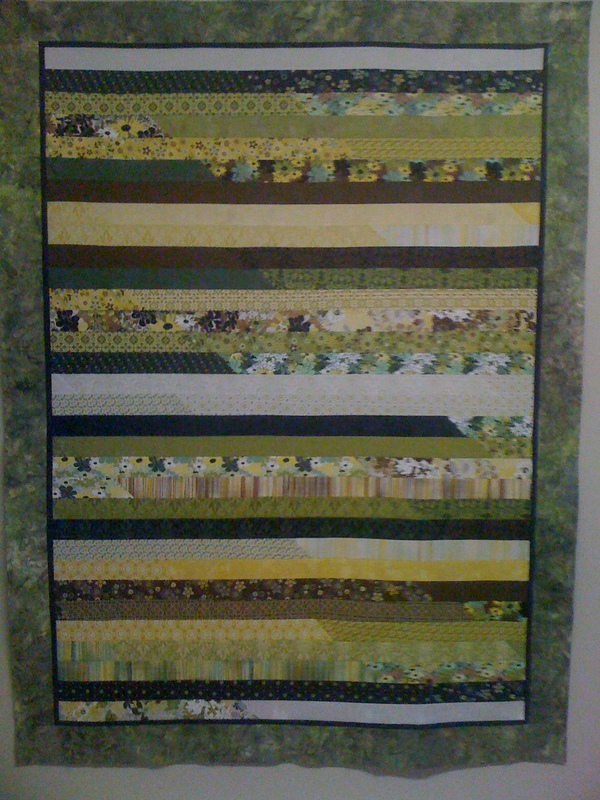 Judy added a stop border and an outer border to her quilt. This entry was posted on Thursday, September 1st, 2011 at 4:01 pm and is filed under Uncategorized. You can follow any responses to this entry through the RSS 2.0 feed. You can leave a response, or trackback from your own site.